My considerable experience in residential real estate is life-long. My simple philosophy in working with buyers and sellers is to listen to my customers, focus on their requirements, and provide them superlative service. 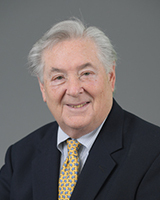 Walter is the son and grandson of Greater-Boston residential and commercial real estate developers. He grew up in Massachusetts' Essex and Middlesex Counties amid sweet aromas of fresh-hewn lumber, just-mixed concrete and ocean breezes. Following successful careers in international IT businesses and New York investment banking, Walter was for nine years a full-time residential Realtor in New York City's northern Westchester County in the historic Town of Bedford. Since 2005, Walter Davis has been a full-time Realtor on Indian River County's beautiful 24-mile-long barrier island that is Zip Code 32963. He concentrates on residential communities within the City of Vero Beach and the Town of Indian River Shores.